Brightly colored paper twist ties. 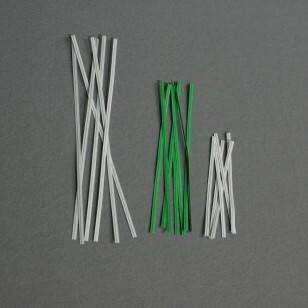 A variety of different lengths available. Provide an easy way to seal and reopen a variety of bags including poly bags, can liners, and shopping bags. Paper covered wire makes them easy to see, durable, and safe to handle. Resilient to heat, water exposure, and cold.